Minister of Finance Tito Mboweni has appointed a panel to interview and recommend to President Cyril Ramaphosa a shortlist of candidates for the position of Commissioner of the SA Revenue Service (SARS). The process of finding a new SARS commissioner went one step further by the placement of an advertisement in this regard in a Sunday newspaper in December last year, inviting applicants for the position. "The Commissioner will be required to formulate, lead and direct the business strategy for SARS in order to deliver on its mandate," the advertisement stated. It said the successful applicant will be "an individual who reflects the highest professional standards…with high levels of professionalism, integrity, accountability". It will be expected of the new commissioner to "ensure superior quality service". The advertisement further stated that the ideal candidate will have to behave honestly and with integrity and be able to leverage diversity. The closing date for applications was 18 January 2019. 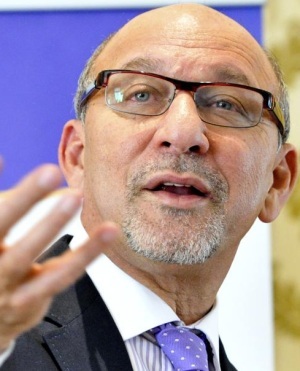 The final report of the Nugent Commission of Inquiry into governance at SARS was handed to President Cyril Ramaphosa in December last year as well. Former SARS commissioner Tom Moyane was removed by Ramaphosa in November 2018, following a recommendation contained in the interim Nugent report. The final report recommended that the process by which the SARS commissioner is appointed be changed. Fin24 reported earlier that the final Nugent report recommended that the SARS Act be amended to provide for the appointment of the commissioner by the president, after consultation with the minister of finance. The final report recommended that the president should call for nominations or select candidates. They should then be subjected to a private interview by an apolitical panel of four or more members selected by the president, the final report recommends. It recommended that this panel should make non-prescriptive recommendations to the president and their selection should be made public after the appointment.